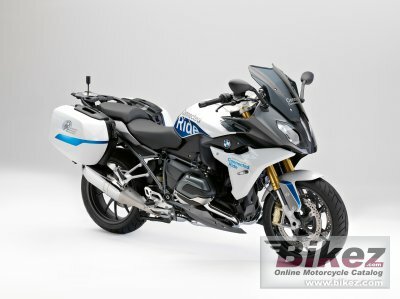 2018 BMW R 1200 RS ConnectedRide. Picture credits - BMW. Submit more pictures. It features a large number of further systems designed to prevent accidents between motorcycles and passenger cars. Other traffic users who are about to disregard the right of way are warned as well as the motorcycle rider himself. This dangerous situation is detected and warning measures are initiated thanks to Vehicle to Vehicle Communication (V2V), based on a cross-manufacturer communication standard and extremely high-precision localisation via D-GNSS (Differential-Global Navigation Satellite System). Ask questions Join the 18 BMW R 1200 RS ConnectedRide discussion group or the general BMW discussion group. Get a list of related motorbikes before you buy this BMW. Inspect technical data. Look at photos. Read the riders' comments at the bike's discussion group. And check out the bike's reliability, repair costs, etc. Show any 2018 BMW R 1200 RS ConnectedRide for sale on our Bikez.biz Motorcycle Classifieds. You can also sign up for e-mail notification when such bikes are advertised in the future. And advertise your old MC for sale. Our efficient ads are free. You are also welcome to read and submit motorcycle reviews.